Gummy 4 celebrates after being crowned the Upper East Side grand prize winner. Teddy 3 celebrates after being named the Battery Park City grand prize winner. Teddy 7 is our heavy lifter winner at our Upper East Side campus. 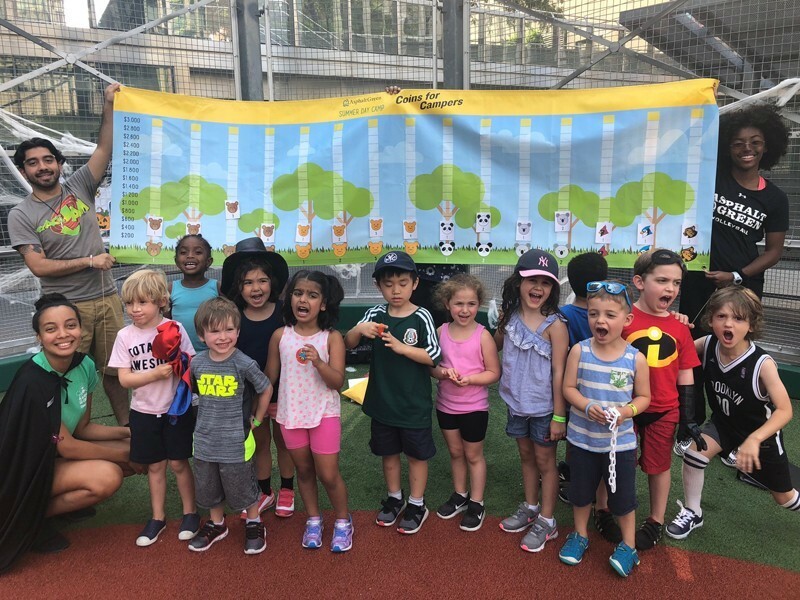 Panda 2 is our heavy lifter winner at our Battery Park City campus. 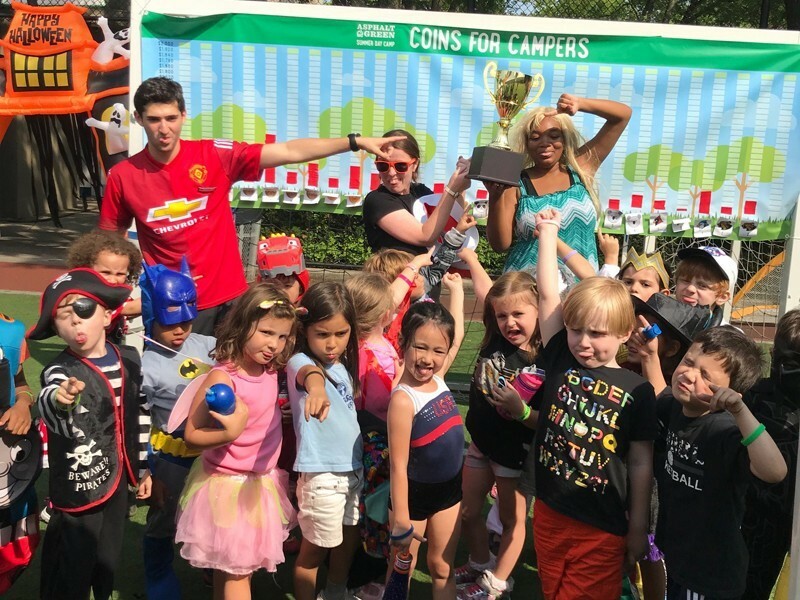 Our campers are tiny but mighty fundraisers. 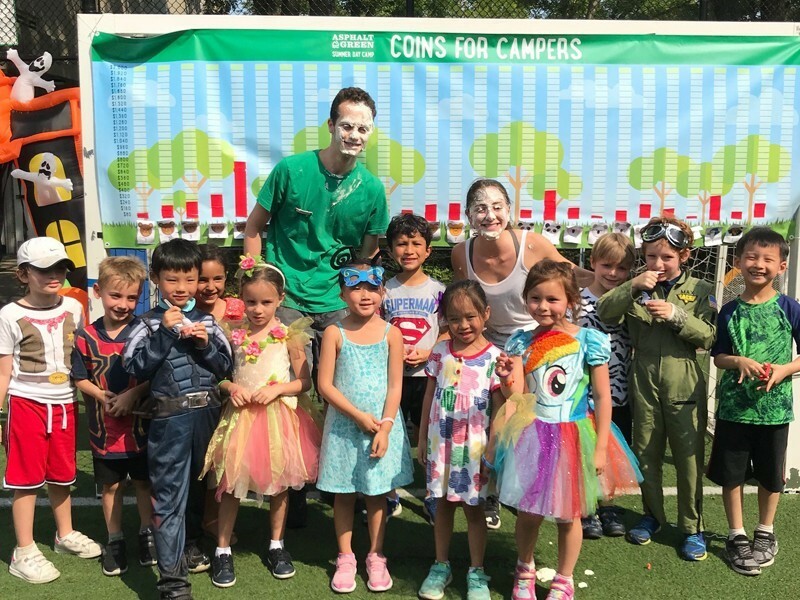 The camp community came together last week for a great cause during our annual Coins for Campers fundraiser. 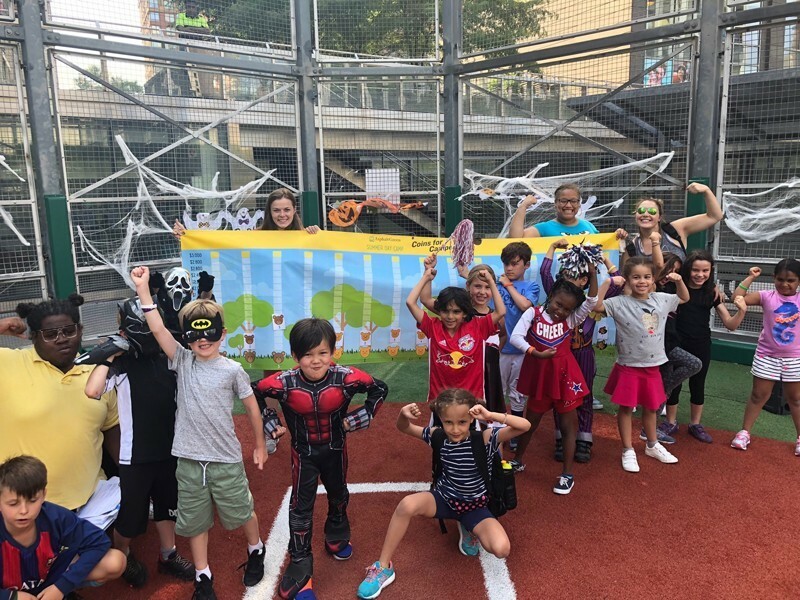 Campers emptied their piggy banks and rallied enthusiasm at home to support Summer Day Camp scholarships, raising $16,690 to give more kids across the city the summer camp experience. The entire community was quick to jump on the giving train, and it was exciting watching the totals rise each day. There was also a friendly competition among the divisions to see who could raise the most money. The grand prize winners will be treated to a cookie chef party at Blue Smoke restaurant, and the heavy lifter winners will be rewarded with an ice cream party. Thank you to Blue Smoke restaurant for donating the grand prize. Big thank yous also go to all of our campers for supporting our scholarships and giving even more kids the opportunity to experience camp.